Jaguar put some fairly heavy flywheels into the E-Type. 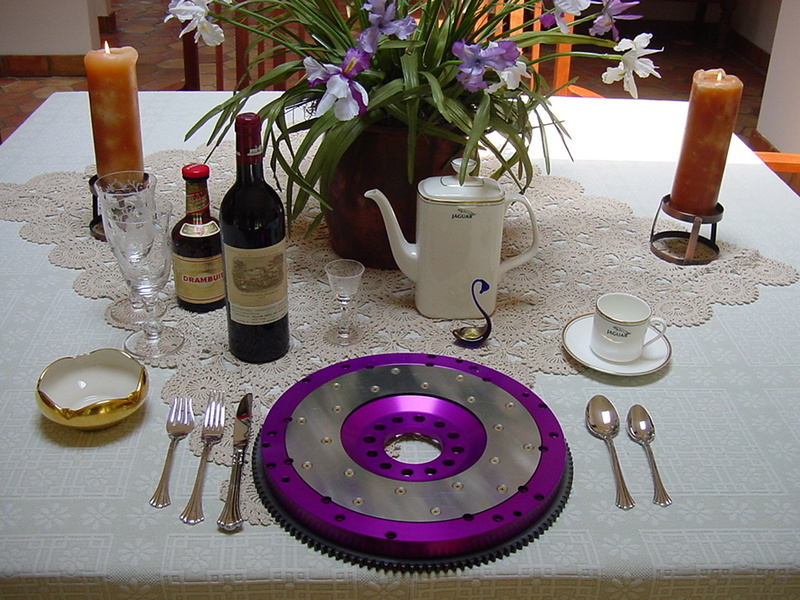 A heavy flywheel will permit very smooth clutch engagement. But years of tweaking has proven that the flywheel can be lightened considerably without upsetting the refined feel of the car. When it comes to improving the performance, a lighter flywheel should be high on your list. 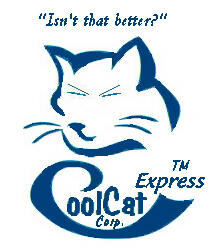 Your engine will rev up faster, and your acceleration will improve. 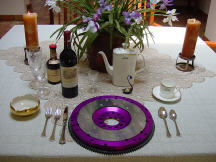 Our Aristocat(tm) 13lb flywheels are made of 6061 tempered aluminum, machined on state of the art CNC equipment. The friction surface is heat treated steel, and the ring gears are hardened steel. Aircraft quality fasteners are used throughout. Anodized in Aristocat(tm) Purple for your viewing pleasure.